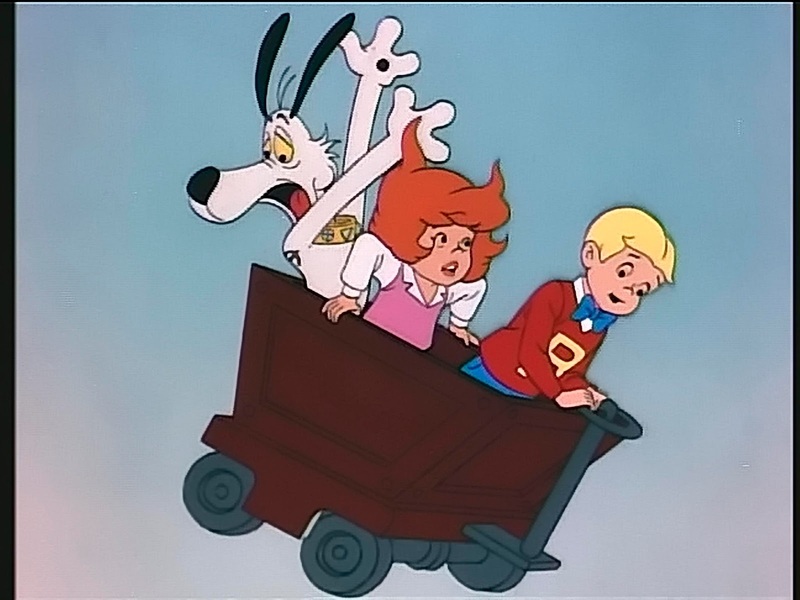 In the 70s and 80s Hanna-Barbera ruled Saturday morning television. 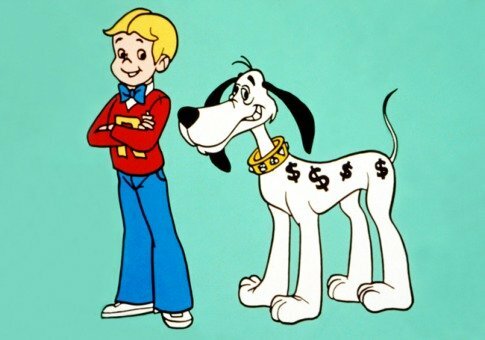 Besides original creations like The Flintstones, Scooby-Doo and Yogi Bear, the duo brought Richie Rich from pages of a comic book to the small screen. Richie's tv persona was more grownup from his comic book days. Many times outrageously rich characters are portrayed as evil or at least usually in the role of the bad guy. Look at Mister Burns on The Simpsons, "The Million Dollar Man" Ted DiBiase and Scrooge McDuck for examples. But I guess Uncle Scrooge wasn't evil, just grumpy. There's probably a deeper social commentary for this trend, but I'm not going there. Richie broke that rude and rich stereotype. He was a wholesome, happy kid always trying to help those who needed it. 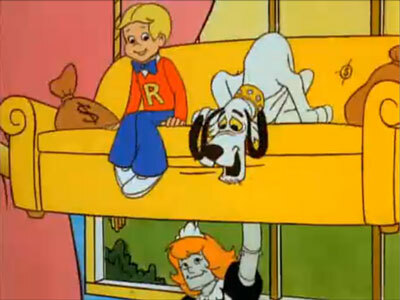 Even when that little jerk Reggie was trying to pull one over on the family, Richie never tried to hurt his nemesis. He and his dog Dollar (who had dollar signs instead of spots on his fur) saved the day in the course of about 15 minutes. Although not officially a super hero, he kind of was. His super power was money and a sense of knowing the difference between right and wrong. Besides Dollar, Richie's girlfriend Gloria and robot maid Irona joined the zillionaire boy on his adventures. Irona more often than not helped ensure Richie and his friends stayed safe. She was a Transformer before being a Transformer was cool. 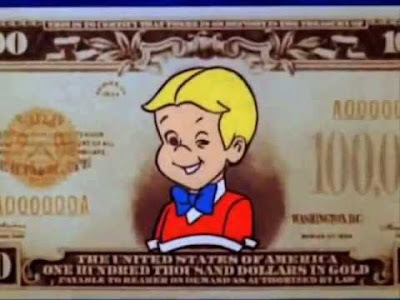 Richie Rich was a part of Saturday mornings for four years, with just over 100 cartoons airing. In the mid-90s the cartoon was given the big screen treatment with Macaulay Culkin starring in the title role. Disclaimer, I only saw bits and pieces of it, so I'm not going to pass judgment. There's also a live action TV show on Netflix now. I didn't know this until I starting writing this post. A few years ago when my kids were younger they started watching the Richie Rich reruns in syndication. They liked it too, which was priceless for this nostalgic dad.